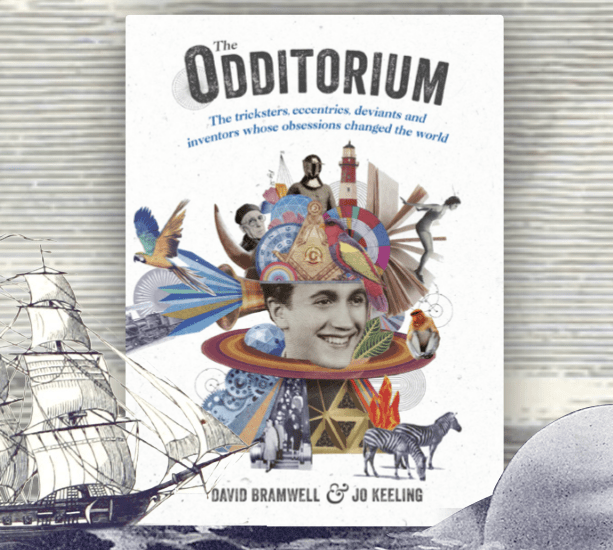 On October 6th, the Odditorium book will be released, and includes sections written by Dr Bramwell, Jo Keeling, John Higgs, Sarah Angliss and others. I’ve written two pieces for the book. The first is on Apsley Cherry-Garrard, an Antarctic explorer who wrote The Worst Journey in the World; and Harry Bensley, an adventurer who claimed to have walked around the world disguised by a knight’s helmet. It’s so exciting to see the book finally coming to print, having been involved since the early pitching sessions, sending in lists of people I thought should be included (I was sad Nek Chand didn’t make it). There are some fascinating figures – I’m most excited about reading John Higgs writing about Elsa von Freytag-Loringhoven, and I think there’s also a chapter on Bob Flanagan. The book is available for pre-order from Amazon; and if you’re in Brighton there is a launch event on October 14th. I’m very excited as next month I have a book launch – or to be more accurate, a two-chapter’s launch. I’ve written a couple of entries for The Odditorium: The tricksters, eccentrics, deviants and inventors whose obsessions changed the world, which comes out next month. It’s a book I imagine I’d buy if I wasn’t getting a contributor’s copy. It features biographies of various people from the well-known, like Wilhelm Reich, to the neglected, like Baroness Elsa von Freytag-Loringhoven. The book was compiled by David Bramwell and Jo Keeling. My chapters are on the Antarctic explorer Apsley Cherry-Garrard, and mysterious walker, Harry Bensley. The launch night is October 14th at Brighton’s One Church, and features talks from Dr Bramwell, John Higgs and Emma Kilbey. There will also be a cocktail bar. And copies of the book for sale. You must come!